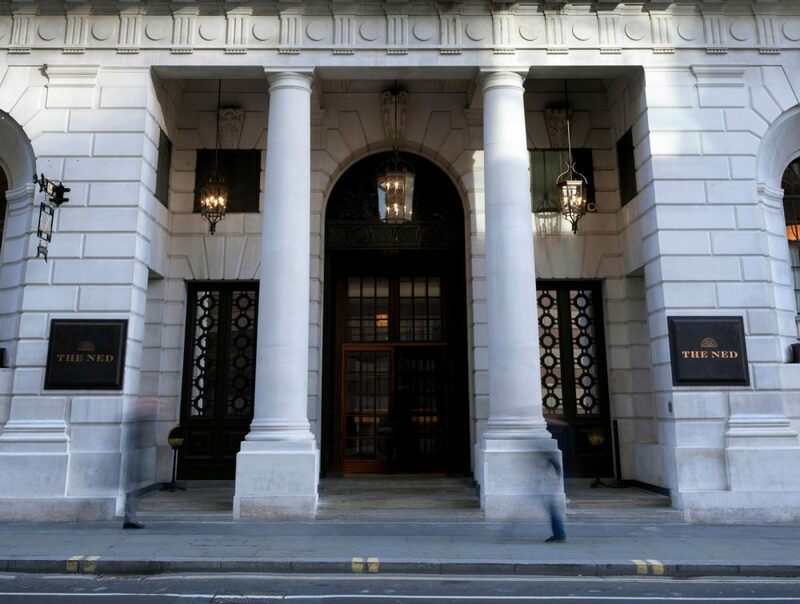 London-based Soho House & Co and New York’s Sydell Group have joined forces to create The Ned: a hotel, club and collection of restaurants in the City of London. 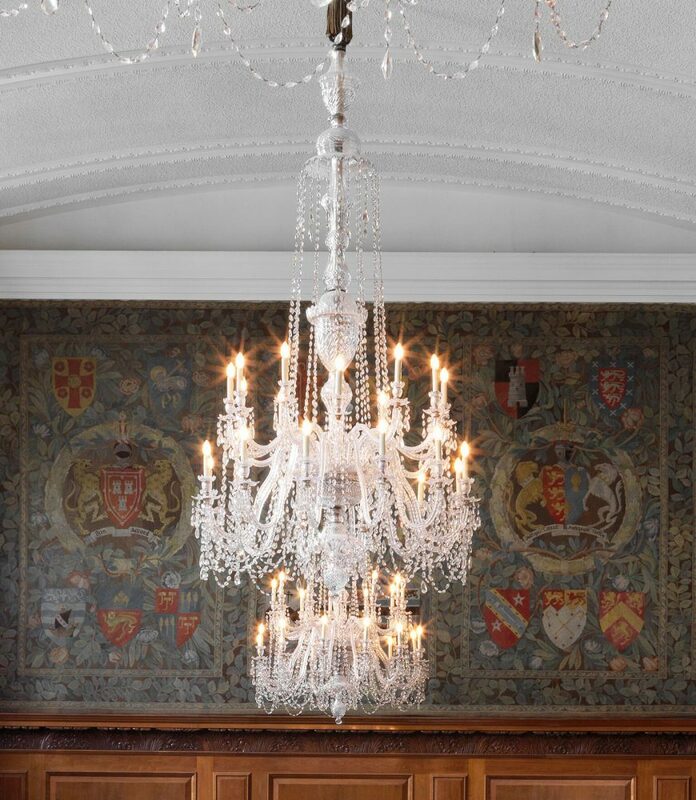 Madson Black were commissioned in late 2104 to begin the process of restoring over 130 existing heritage chandeliers including the world famous Devonshire chandelier. 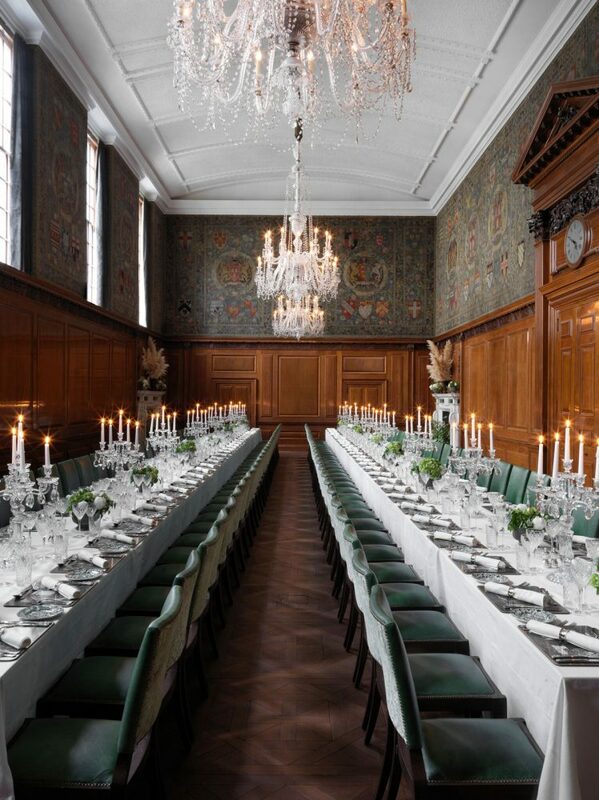 In addition to the existing chandeliers, Madson Black refurbished a further 120 vintage table lamps and chandeliers which were procured by Soho House for The NED to complete the new rooms, suites and public areas. 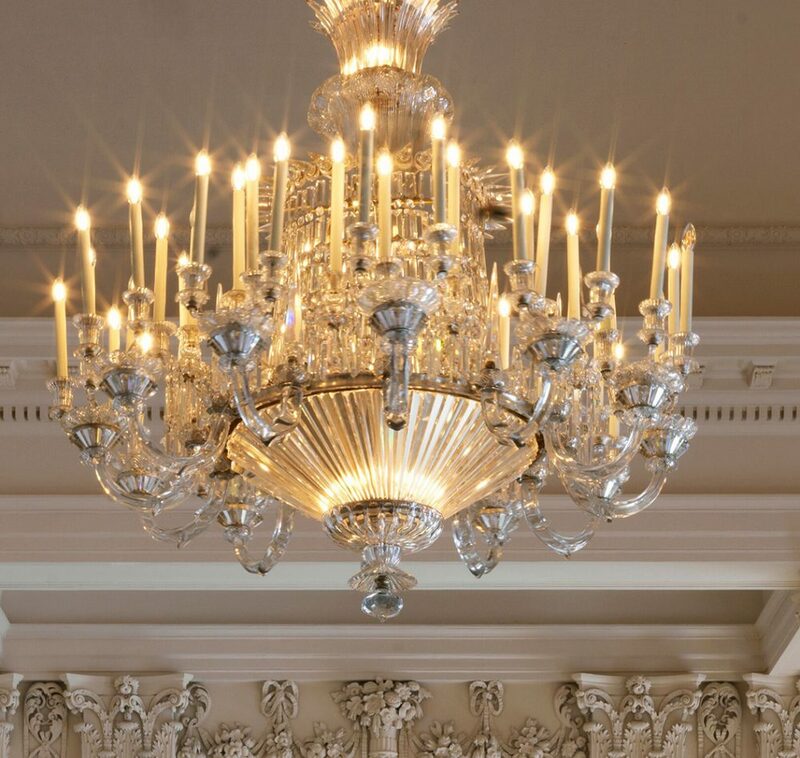 All the restored lights were installed by Madson Black in early 2017. 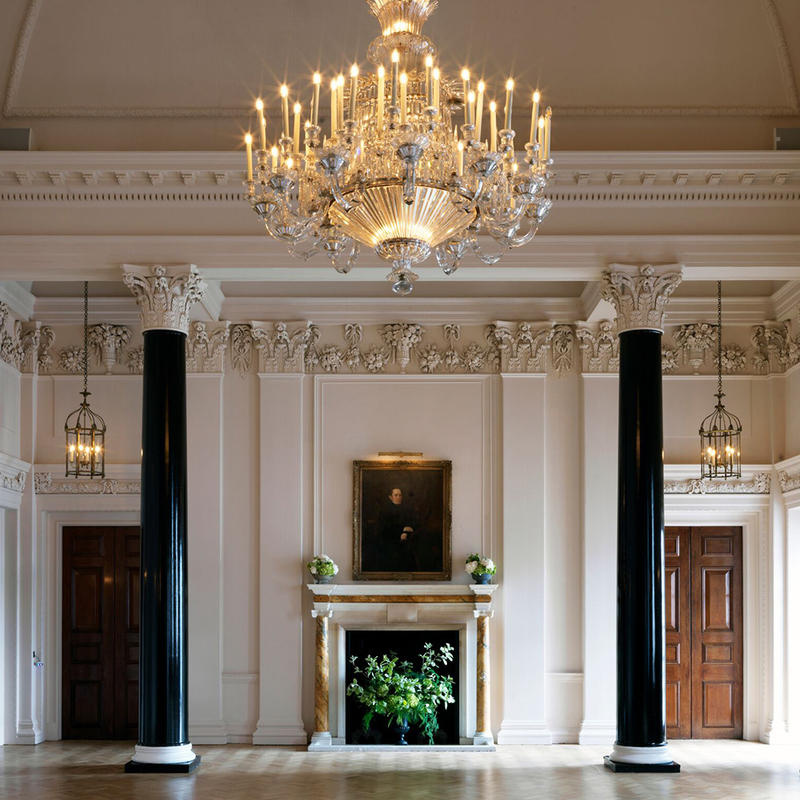 The final part of the project was for Madson Black founder, James Hall, to design the three Grand Main Entrance lanterns which completed the project in April 2017.